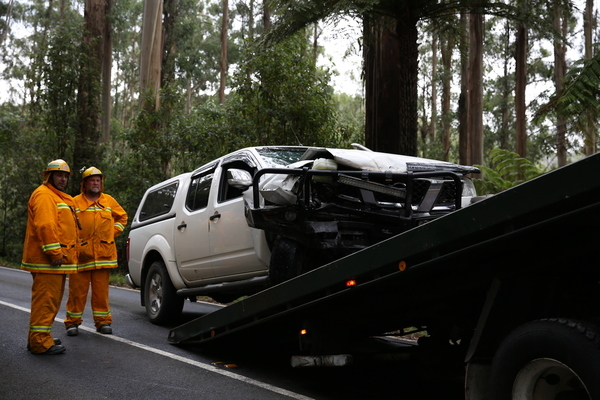 A Nissan Navara and Toyota Sedan have collided along the Black Spur, between Fernshaw and Dom Dom Saddle. 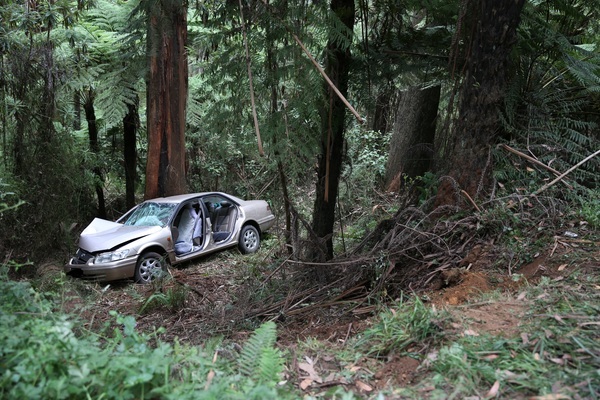 Two people have been flown to hospital following a two-car collision along the Black Spur. About 11.30am on Thursday 17 January, a Nissan Navara travelling towards Narbethong and a Toyota sedan travelling in the opposite direction collided on Maroondah Highway between Fernshaw and Dom Dom Saddle. 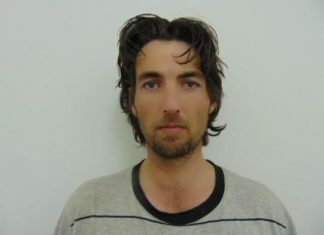 The collision forced the sedan off the road and 10 metres down an embankment. Emergency services crews freed a man and two women from that car. An Ambulance Victoria spokesperson said two people were airlifted to hospitals in Melbourne and another was taken by road ambulance to Maroondah Hospital. One of those patients was a man in his seventies who suffered back and chest injuries and was in a stable condition. Paramedics assessed a fourth person but they did not require any treatment. “There was a four-wheel drive still on the road, with one person – a male driver who wasn’t injured,” Healesville SES controller Phil Drew said. Following the initial two-car collision, another vehicle went off the road and rolled about 700 metres away. 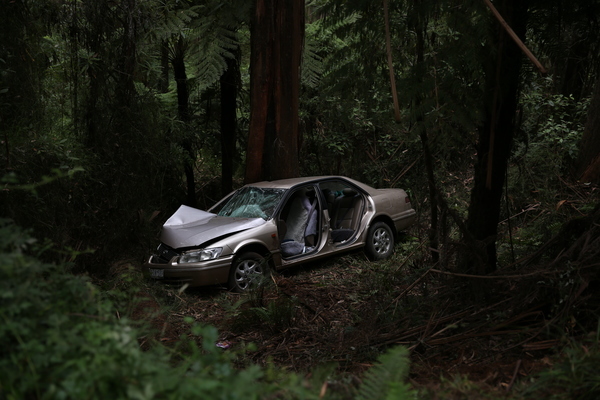 It is believed the driver was trying to avoid traffic which had built up along the Black Spur. Garry from Camberwell was first on scene and told the Mail that he arrived to see smoke billowing from the Navara. “When we arrived we came around the corner and saw the Navara stuck in the middle of the road smoking,” he said. “Our concern was obviously for the people involved but we actually didn’t realise there were two cars were involved as there was no evidence of the second car or the Navara driver. 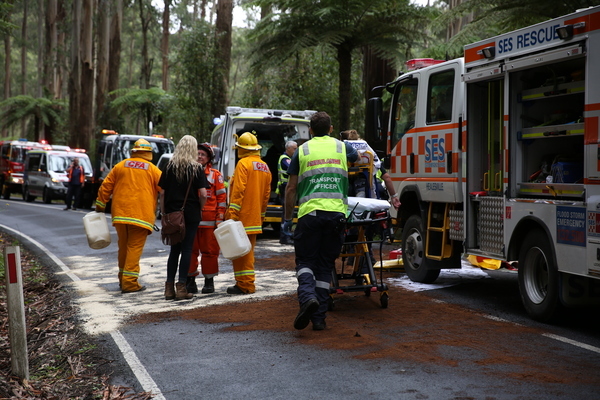 The Black Spur was expected to re-open just after 3pm with emergency service crews working hard to clear oil and other debris from the road. Investigations into the cause of the crash are underway.